It’s a fresh year and we’re thrilled to be meeting some brand new faces! Some of you will sit and chat in our chairs while getting your hair done, others will come and indulge in a relaxing massage session, but what we’re most excited about is all of you who will be walking through our doors to start your future careers. Hit refresh and renew yourself in 2018. It’s a New Year to become a new you with a new career! Let’s take a look at all of the amazing opportunities that the Academy offers. The Cosmetology Course at City Pointe Beauty Academy introduces students to the professional experiences of cutting hair, styling, coloring, and much more. Along with foundational hairdresser knowledge, students also learn the proper techniques and tricks of the skin, nail, and makeup trades. The demand to receive extensions, hair color, straightening, and other hair services could translate to 58,400 new cosmetologist positions by 2024! The Cosmetology Course takes 1500 hours and the number of weeks to complete the course will vary. The first 8 weeks focuses on the foundations and from there, schedule options are open to whether you choose to pursue the program as a full time, part time, or full time accelerated student. Concentrating on skincare and makeup, our Esthetics Course teaches students the specialization of enhancing overall appearances. This includes services such as facials, body treatments, body waxing, makeup, and microdermabrasion. As a skin care specialist, you understand that beauty isn’t only skin deep. Students will learn how to customize treatments for clients and help them regain confidence in their looks! At the Academy, the Esthetics Course is a 750-hour training program. As a half time evening course, it takes around 53 weeks to complete. Moving on from hair, skin, and makeup, let’s talk about nail care. The Academy offers a professional Nail Technology Course that guides students through nail care and the specialized art form behind it. Exploring more than just manicures, pedicures, gel nails, and hand and foot massages, becoming a manicurist allows students to experience being part of a bride’s special day or expressing themselves creatively. Our Nail Technology Course is a half time evening program that takes 400 hours to complete. We’ve mentioned hair, skin, and nails, but now it’s time to talk about the whole body treatment: massage therapy! Ask any massage therapist why they do it and you’d likely be told that it’s a job that’s easy to love. At the Academy, students will be taught massage theory and practice, anatomy and physiology, business and professional practice, and ancillary therapies. This hands-on career training immerses its students in a healing and healthy environment. The Massage Therapy Course takes 600 hours to complete. As a full time student, you’ll be spending about 26 weeks gaining the valuable background and skills to pass the Massage & Bodywork Licensing Examination. When it’s time for the student to become the teacher, the Academy offers Instructor Training to guide you in the right direction. City Pointe Beauty Academy offers theory and practical instruction that prepares individuals on how to instruct other students in the specialty areas of cosmetology, nails, or esthetics. You’ll be learning from some of the most amazing instructors to become one of the best! This program is a 600 hour commitment that takes full time students around 19 weeks to complete. Ready to take the first steps towards your future career? 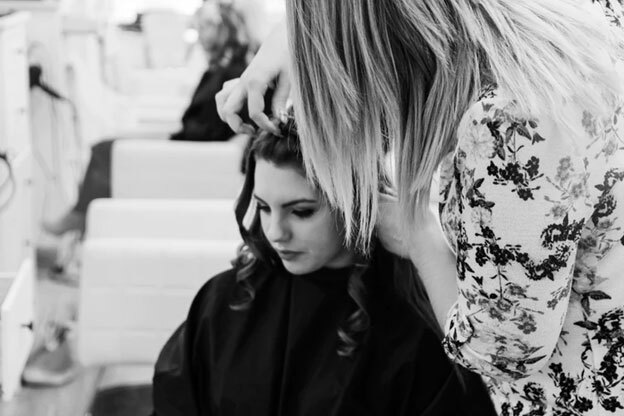 Connect with the City Pointe Beauty Academy to explore your options, and get all of the details on program dates, class times, and enrollment deadlines. Become part of the beauty business by filling out an application or by enrolling online today!